This volume on the Roman poet Ovid (43 BCE – 17 CE) comprises articles by an international group of fourteen scholars. Their contributions cover a wide range of topics, including a biographical essay, a survey of the major manuscripts and textual traditions, and a comprehensive discussion of Ovid’s style. 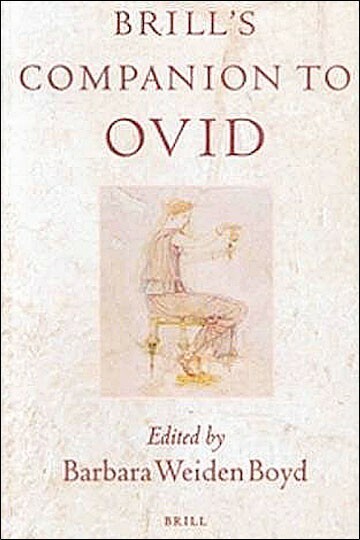 The remaining chapters are devoted to focused studies of each of Ovid’s major works, with emphasis given where appropriate to the poet’s interest in genre and narrative techniques, his engagement with the poetry that preceded his oeuvre, his response to the political, religious, and social realities of Augustan Rome, and his enduring legacy in the European literary traditions of the first 1300 years after his death. Brill’s Companion to Ovid combines close analysis of each of Ovid’s major works with a comprehensive overview of scholarly trends in the study of Latin poetry and Roman literary culture. It will be a valuable resource for students and scholars of Latin literature alike.